Robbie Daymond is a Native-American Voice Artist, Actor, and Performer based in Los Angeles. He works steadily in traditional animation, commercials, film, television, audiobooks and videogames for companies such as: Nickelodeon, Warner Brothers, Discovery Kids, NBC, 20th Century Fox, Marvel, Lucas Films, Activision, Disney, VIZ, Aniplex, SyFy, Random House and many others. Though he is a long-time fan of the genre, he is relatively new to performing in the world of Anime, but after booking his first major role in 2014 as Tuxedo Mask in “Sailor Moon”, he has had the opportunity to act in several other Anime series. Unfortunately, he’s not able to talk about them? just yet?. 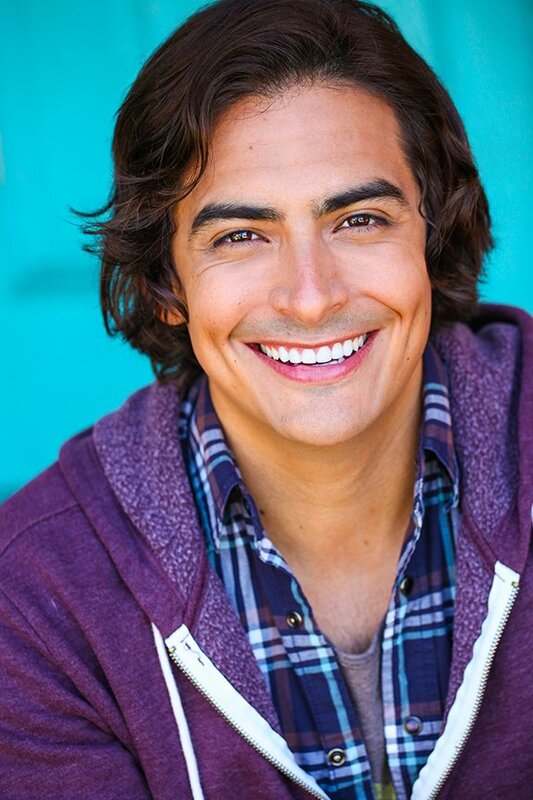 Robbie currently stars as a series lead in two shows on Nickelodeon; “Breadwinners” and “Get Blake,” and guest stars on shows such as “Transformers: Rescue Bots”, “Ever After High”, and “Little People”. He has voiced characters in several feature films, including Porta in the anime “Patema Inverted”, and The Fairy Cronies in “Strange Magic.” He has recorded commercial spots for Pepsi, Walmart, Katy Perry, Ubisoft, and many more. Robbie can also be heard in videogames such as Final Fantasy Type-0, The Division, The Lego Movie Videogame, Aion, Sick Bricks, Falling Skies the Game, Grand Chase, Forbidden Magna, Lineage 2, Monster Strike, Etrian Odyssey Untold II, and Fairy Fencer F.